Hear a sample from the audiobook, narrated by Jasmin! 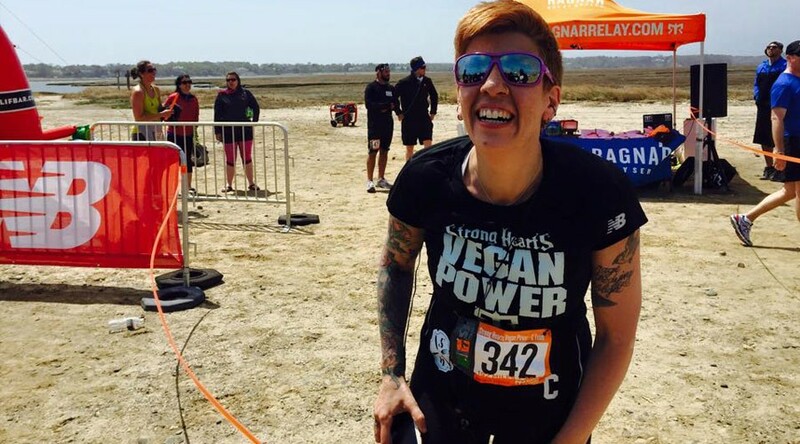 One woman’s journey to find herself through juicing, veganism, and love, as she went from fat to thin and from feeding her emotions to feeding her soul. The word “fat” is curt. It drops harshly off the tongue – the sneer-inducing “ffff” with the abrupt and decisive “t.” The merest, flattest, “a” in between. And yet for all its nasty brevity, it holds within its single syllable a world of stigma. Long before anyone talked about how “it gets better,” I was that awkward fat kid spending my childhood and adolescence eating lunch by myself in a bathroom stall in order to avoid the bullies who had devoted their lives to ruining mine. I was the kid who sat alone on the bus trip to the Thomas Alva Edison Memorial Tower, because “the fat might be contagious.” I was the chunky, chocolate-mouthed teenager in the oversized sweatshirt with the underused day planner who would give anything to go back in time and not drink that extra Coke, because that Coke would inevitably lead to the daily walk of shame to the front of the classroom to retrieve the bathroom key – eight seconds of unadulterated torture during which muttered insults hit me like stones. 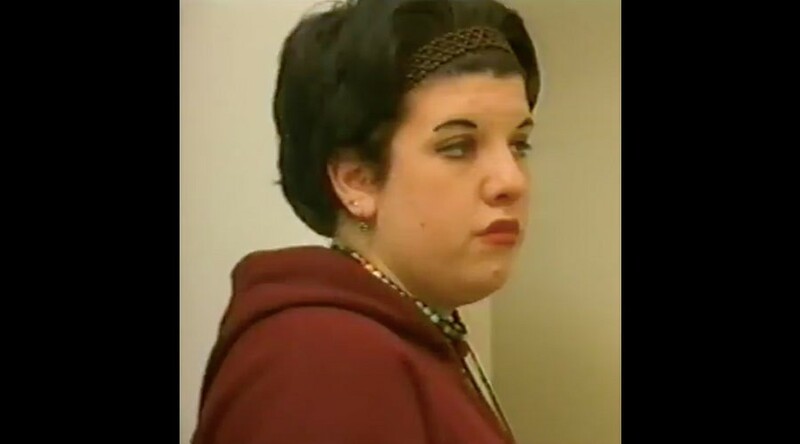 Certain that heavy eyeliner would detract from my bulbous tummy, even as an elementary school student I glommed it on à la Liza Minnelli, whose headshot was taped to my mirror for inspiration. But despite my distracting eye-makeup (or perhaps partly because of it), life was no cabaret. I did, however, have two respites from this unrelenting torment: the effervescent world of theatre, which allowed me to replace my reality with an enchanting land of make-believe, where I could both get away from my classmates and get recognized for something other than my size; and the ever present solace of my refrigerator, my kitchen cabinets, and my Happy Meal – which lived up to its name, in spades. Later – as a young, obese adult who was no longer bested by bullies, but still battled both the bulge and the blame – I distracted myself from my inner demons by eating cheese. Lots, and lots, and lots of cheese. In my twenties, I became a vegetarian (hey, cheese was allowed! ), and then a vegan (you’d be surprised by how scrumptious some non-dairy cheeses can be). To everyone but myself, my passion for plants seemed antithetical to my substantial girth. But just as vegans come in all different shapes and sizes, fat people come with all different dietary habits and worldviews. As I yo-yoed between chubby and ginormous, with the occasional eating disorder-induced pit stop at “average,” I never faced up to the fact that maybe the processed, junk food that I loved so monomaniacally, the one constant in my life, was not my friend. In fact, it was doing its best to kill me. At just 30 years old and standing at 5’4”, I clocked in at 221 pounds – which was when my doctor told me I was on my way to heart disease. I was young, vegan, and thought of myself as an expert in health. But, it became clear, I was addicted, and was petrified about giving up my substance of choice – a substance that gave me so much physical and emotional pleasure that I was sure my life would be empty without it. Staring at my dismal health stats was terrifying. I could no longer ignore it. Food, and the scheming industries hiding behind it – the scientists and marketing professionals who knew more than I did about my addiction, my desires, my absent willpower – were biting me back. Food: My not-so-secret love. My bridge over troubled waters. My friend in times of need. For the first time, all of it was more than I could chew. 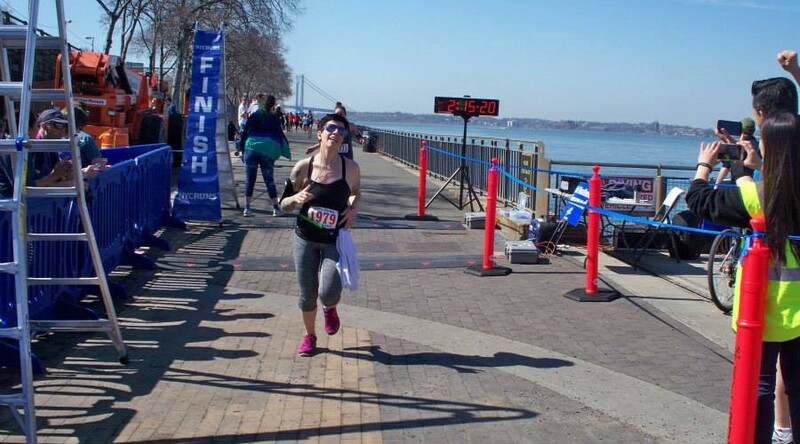 When I finally grabbed my life by the gut and made the intrepid decision to reclaim my health – including my size, my morale, and, for the first time ever, control over the way I related to food – I thought that my journey was nearing an end. I thought, finally, I will get rid of the weight I carry on my shoulders and waist, and will go about life normally. I would be normal. My pesky Wii Fit, which had previously proclaimed me “obese” in a flippant and childish chirp, would see my smaller numbers on the scale and cheerfully corroborate. I would be normal! I could live – maybe even love – my life. Redefining and restructuring my relationship with food, would – I was certain! – fix everything. It was the final piece in an abstract puzzle. It would make me whole. Even though I expected (and craved) my radical shift to normality (more energy, improved medical charts, an easier time finding groovy clothes), there was one whopping change that simply gobsmacked me and taught me more than I ever cared to know about how unfair the world really is. It turned out that there were boundless differences in the way many people treated me when I became (what they deemed) a “regular” size – the size, I learned quickly, of an inoffensive woman. As my weight melted off – thanks to a switch from a diet high in processed, oily, and sugary foods to a largely whole foods-based one, along with intermittent juice-fasting – the world’s relationship to me (and mine to it) flip-flopped. 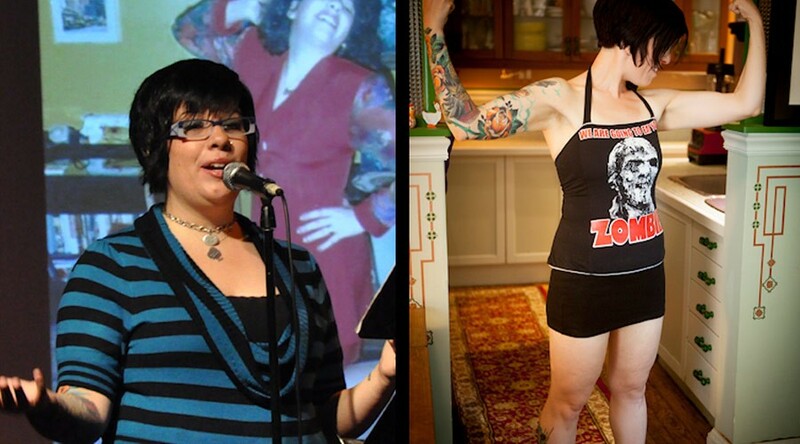 Suddenly, I was no longer the pariah – or, at best, the afterthought – that the world had pegged me as when I was fat. The changes were small, but they were everywhere, and as they piled on, they became completely disorienting. Men held doors, smiled. Women complimented my clothes, my hair, my style. And even though this should have all thrilled me – finally, I was in the in-crowd! – mostly, what I felt was outrage. Fat, the world had never been very fond of me – it was like I was constantly swimming against an opposing current. Thin, the very same offbeat inclinations, eccentric clothes, and theatricality that had put people off when I’d been fat were suddenly seen as rebellious and intriguing. I was finally accepted, which – let’s face it – was what I had wanted all along. It took me finally shedding the weight – and receiving the customary privileges that go hand-in-hand with my new physique (like basic human courtesy) – to recognize that the world doesn’t have to be as harsh a place as I had once thought… as long as you’re thin. As the reality of this inequality dawned on me, and my understanding of the flaws inherent in the widely-held yet narrow societal definition of “beauty” crystalized, something unexpected happened: I began to trust myself to be myself, for the first time in my life. Once I let go of the belief that I would not be somebody until the world said so, I saw myself for who I really was – and I found I dug her. Most remarkably, as my newfound self-acceptance took shape, love crept in – the kind I gave myself, and the kind I gave away. As I lost the weight and became comfortable in my own skin, I replaced the pounds with a firm commitment to speak up for all the underdogs being kicked around by a world that passes judgment all too easily. My resolution – along with my improved health and self-worth – made me excited to live in the world as me, a person I had hidden from for years. "Unflinchingly forthright and refreshingly authentic... A testament to how the greatest transformations are often intangible." "Jasmin Singer knows how to tell a story, and she has quite a story to tell. What makes her story shine so exceptionally brightly, though, is that, whether she is fat or thin, bullied or beloved, victimized or triumphant, she attends so carefully to the lives of the others she meets along the way, including, of course, the animals who touch her heart so deeply." "Jasmin Singer’s journey is an unflinchingly honest and quirky coming-of-age tale that touches on pretty much everything that matters — teenage angst, Broadway belters, lust for life in the form of fudge-topped frozen yogurt, and body hatred powerfully transformed into reclamation and self-love. Her book is alternately painful and thrillingly joyous, as Jasmin tells her truth with clarity and grace and biting humor, and a fierce feminist thread running through it all. She leaves you both proud of her accomplishments and inspired to join her — in saving yourself by also saving the world, one shot of kale juice at a time." "In a world that sees plus-size as less-than, a young girl’s view of herself is battered. Yet she fights through the prejudice and food addictions to rescue the strong, dynamic woman inside. That’s my idea of a true heroine. In Always Too Much and Never Enough, Jasmin Singer tells a deeply personal story with an honesty that is courageous and eloquent, all the while sparkling with humor and intelligence. This is a lovely, memorable and inspiring book." 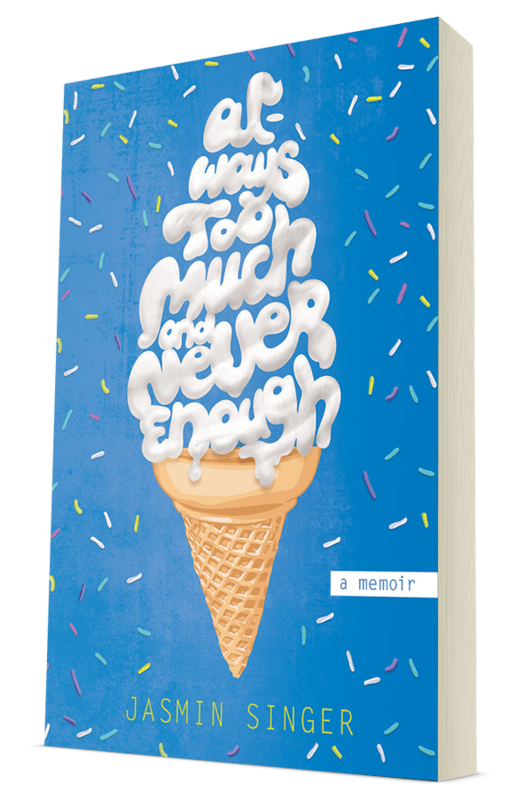 "Jasmin Singer's Always Too Much and Never Enough is a coming-of-age story for anyone who has ever questioned both whether they belong and whether they really want to. With refreshing and often startling honesty, Singer explores her body image and the present food system that regularly betrays each of us. As she steadfastly begins boycotting foods that nourish neither her body nor her soul, Singer discovers that it's not just her view of the world that has changed; it's her view of herself. Always Too Much offers us a fresh new voice from a writer you will want to keep your eye on." Author, Mind If I Order the Cheeseburger? “To what degree does our sense of self reside in the body, in the physical shape? 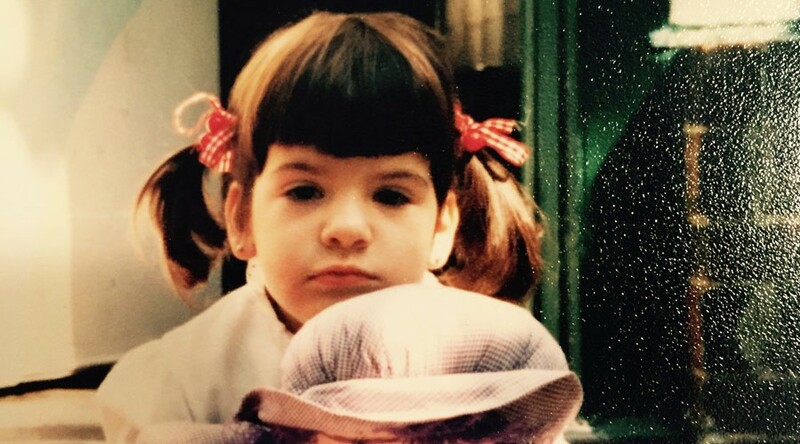 This is one of many daunting and complex inquiries that Jasmin Singer has fearlessly taken on in her new memoir, Always Too Much and Never Enough. Singer describes the all-too-familiar battle with food and self-esteem with remarkable insight, and she uses her painful experiences with dieting and disordered eating to open up a larger dialog about the way we perceive ourselves and others. Witty, intelligent, and brutally honest, Singer is able to meditate confidently on her experience while also stopping to ask herself provocative questions -- questions that inevitably enrich her narrative. Always Too Much and Never Enough is a tough, poignant, and admirable testimony, one that is bound to inspire a sense of resilience and self-worth among its lucky readers." "Jasmin Singer is bright and quick and articulate -- in person, on the air, and on paper. As is evident in her entrancing new memoir, Always Too Much and Never Enough, she is an old soul with wisdom that’s not supposed to come till later and she has a commitment to changing the world that's so strong and focused I have no doubt that she'll do it. Jasmin is the real deal. People deserve to read what she has to say." "I’m deeply humbled that Jasmin took the story of my film, Fat, Sick & Nearly Dead to heart. 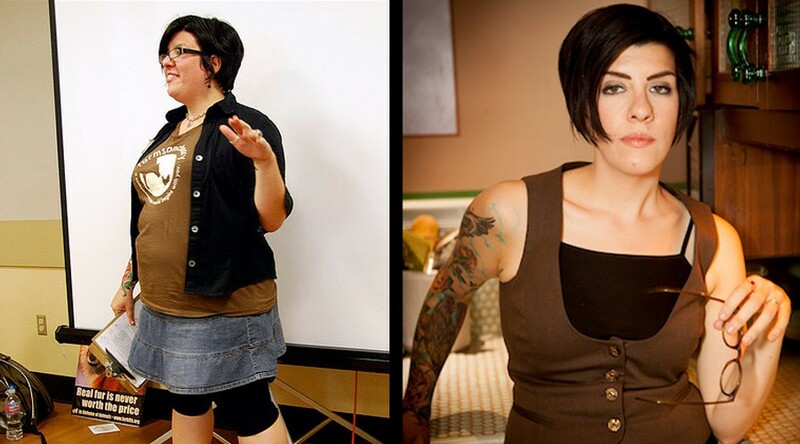 Reclaiming her own health and vitality is an amazing accomplishment. But the more amazing feat is that from this newfound place of well being and social acceptance she rigorously examines attitudes toward people battling obesity with compassion, insight and understanding. Her ‘before’ and ‘after’ experiences, told with wisdom and humor, offer a window into the emotional, psychological, social and commercial factors that complicate our relationship to food and to our bodies." "Jasmin Singer's relentlessly honest memoir is a must read for anyone who wants to lose that extra 5, 10, 20 or 50 pounds. By revealing everything, and I mean everything, about her agonizing journey from fat to thin, from meat to plants, from insecurity to confidence, Singer gives us the courage to confront our own emotional eating triggers and our own hypocrisies around food. I couldn't put it down." "The best books can make us better people. Always Too Much And Never Enough has recommitted me to a life of compassion, kindness, quiet service, family, laughter, and health. These are the greatest gifts we can give ourselves. It is difficult to write an honest memoir. When you start turning over the rocks, you don't get to choose what you find beneath them. Jasmin Singer gets it right and it's a huge win for anyone lucky enough to read this book." "A powerful book about a person who comes to self realization through empathy with others. A strong testimony against bullying of any living being, no matter what body they may come in." "When someone is brave enough to tell the gritty truth about her tough and twisted journey to self-love and health, you simply have to love her for the forthrightness. But when the writing is this good, and the practical lessons are so transferable, you just count yourself lucky to have discovered her. You will read this treasure and be so much the richer from it." 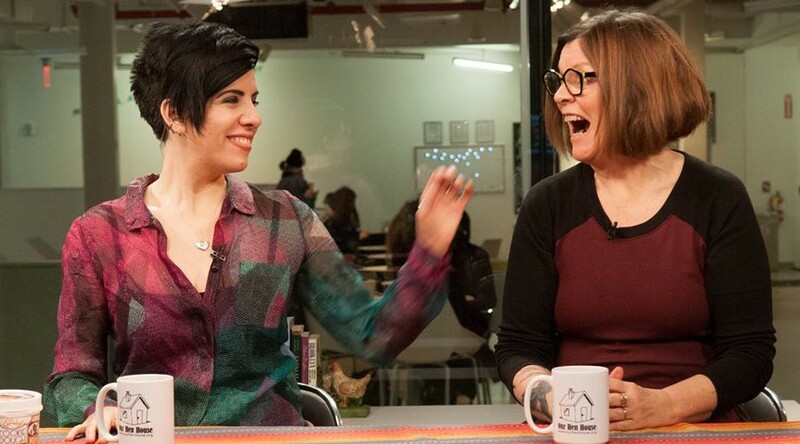 With over 10 years of experience presenting workshops on subjects including veganism and animal rights, Jasmin’s unique ability to connect to an audience with humor, personal stories, and information presented in a friendly, accessible way is what makes her a favorite at events throughout the country and beyond. 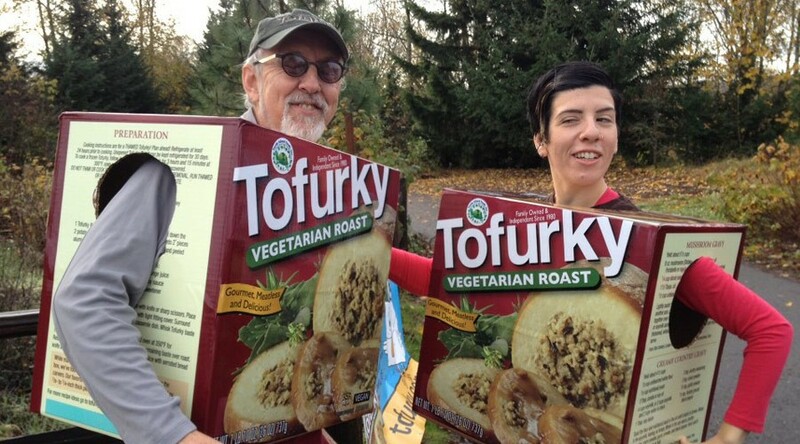 She has spoken at hundreds of events, including VegFests, conferences, bookstores, and more. Jasmin’s team is currently securing book readings and signings in dozens of other cities throughout the United States (and beyond), so check back often, and be sure to let us know if you’d like to book Jasmin for an event! © 2019 Jasmin Singer. All Rights Reserved.